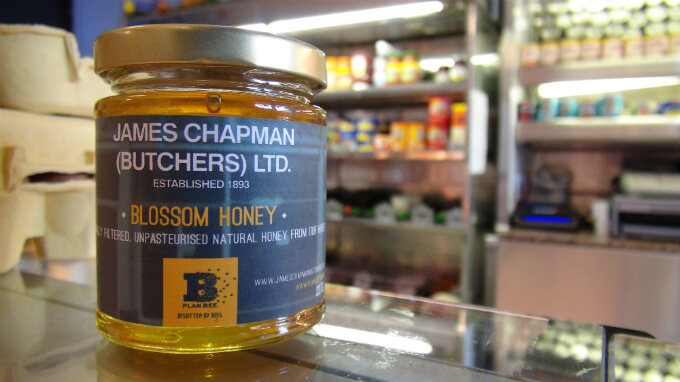 Award winning Wishaw butchers James Chapman are hoping to put the bee in beef and the honey in honey roast ham, by adopting four beehives from Plan Bee Ltd.
“While it wasn’t called sustainability back in 1893 when we first started, being able to trace our products from farm to table has always been our fundamental philosophy. Working with local companies, employing local people and sourcing local produce is central to that. Plan Bee works with some of the largest food producers in the country, from Highland Spring to Kelloggs and Glengoyne Distillery to meet their sustainability needs and help them to manufacture their own high quality honey for use in their produce, to sell directly to customers, present to clients or sell in gift shops. 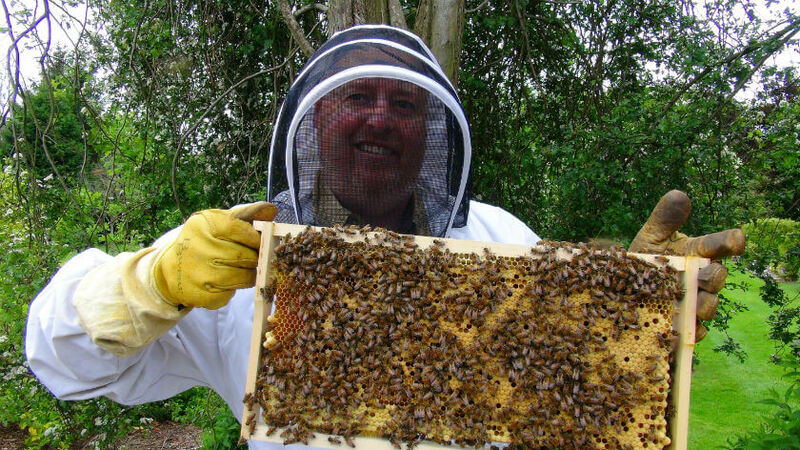 The sustainability business located on the border between Wishaw and Motherwell, leases and manages around 200 hives for clients from Aberdeenshire to Cornwall. Hives are located in idyllic country gardens, iconic Scottish Glens and on busy city centre rooftops. Plan Bee has lifted numerous awards in the last few years, making it one of the most successful start-up businesses in Scotland. One of the strongest stories of the last decade has been the rise of renewables. While a lot of politics comes to play in the world of renewable energy, and the debate between the believers and the climate deniers rages on, one thing is for certain that renewable energy is very much here, and it’s here to stay. As a biodiversity business, making our own huge effort to proactively protect the planet we all share, that’s something that we welcome. In the last year or so, I’ve wondered though, what more can we do to work with renewable energy companies to make them more individually sustainable. Some of these firms are responsible for offsetting the equivalent carbon footprint of a small country, but what can they do individually as businesses. Many people within the sector that I have spoken to have talked about recycling schemes, more efficient fleet vehicles, increased use of public transport and reduced travelling between offices. But is that not what all businesses are striving to do, and should they as companies who’s very core is sustainability, not be taking more of a lead? There are many sectors within the renewable energy field, from solar to onshore wind energy and hydro to anaerobic digestion. The areas of solar and onshore wind farms could however be criticised for being in effect ‘green deserts’, a phrase sometimes volleyed at golf courses. These largely open sites could particularly benefit from managed beehives and associated wild flower meadows, such as that we are installing for one of our large corporate partners. While providing a very valuable environmental service these projects can often be viewed as replacing a rich biodiverse environment or agricultural land. 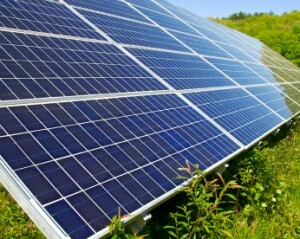 Renewable energy companies are however very careful in meeting the ecological needs of the site. Currently the largest onshore wind farm at Whitelees outside Glasgow has a 25km2 area of habitat management. The UK’s currently largest solar farm at Paddock Wood is the size of 35 football pitches. Developers have taken proactive steps to turn the 95% of unused land there into a nature sanctuary, rich in biodiversity. These are exemplar projects, but surely there are areas of other solar farms and wind farms where the land could be doing more. The areas in between the photovoltaic panels or wind turbines could be transformed into rich biodiverse meadows, providing a wealth of nectar to be turned into abundant supplies of honey. Bees kept on such sites will also help to pollinate surrounding crops, ensuring a wider, long-term community role. A more active sustainability agenda can also add valuable points through the tendering process for such consultation and construction work. Large companies, particularly those in the construction industry are often working to meet ambitious Government targets or to pass on sustainability points to clients. Bigger companies can also use supplier diversity schemes as ‘win themes’ in major bids, and therefore working with small, diverse or sustainable businesses can pay dividends in tendering. While the very essence of a renewables project has a sustainable core, companies adding additional environmental and bio-diverse elements to their proposals as their unique selling point (USP) can gain extra accreditation through what is often a very close-run tendering contest. Using Plan Bee managed hives as a USP can also become a positive talking point within the community and local media. Such community engagement is a much used tool within the process, to the point where it is taken as a ‘gimme’ to borrow again from golf. However, by adding nursery school, primary school and community group beehive and biodiversity lessons onto the mix of stakeholder management services, then we see the development of a long-term, or dare we say ‘legacy’ offering for the local community. And, there’s potential reward for the community with each of our hives producing 24 jars of high quality honey every year, to be gifted to the community or perhaps sold in on-site gift shops. So while many sustainability companies might ask ‘What’s in it for me?’ the answer would most certainly be that unique selling point, that opportunity to excel beyond the competition and to more directly engage with a potentially hostile local community to create a legacy, and give something back in the longer term over and above the now expected elements of the community fund. This is a diverse opportunity to restore the area to its former glory either as a site of biodiversity, or an area previously used for the production of high-quality, local food. 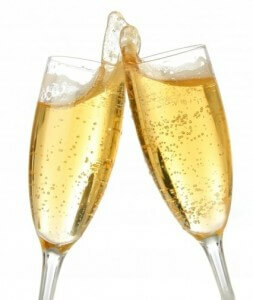 Scottish meadery Beehive Brae is bubbling with excitement having cracked the great Prosecco shortage. Reports of the sparkling wine’s demise have been widespread this week with heavy rains across the traditional Italian vineyards producing the worst grape harvest for 50 years. Combined with increased popularity, particularly here in the UK, stocks of the popular fizz are dwindling fast. Many large stores are already reporting panic buying of the sparkling wine ahead of the release of the Prosecco brokers stock release in August. Regardless of that outcome, prices are expected to increase. For those more ethical consumers there is also the thought of air miles, and when we don’t just mean the environmental impact of importing produce from overseas. 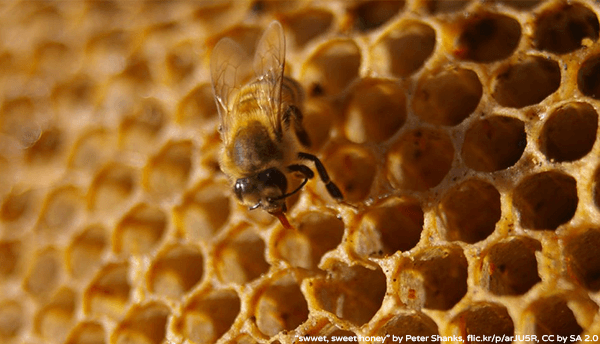 Supporting mead as a product also supports bee colonies, which have been threatened by pesticides and factors of global warming in recent decades. Beehive Brae is also supporting the development of such colonies across the UK. Based in Scotland, Beehive Brae’s worker bees have a readily available source of heather to help produce the essential ingredient of our mead – our high quality Scottish honey. 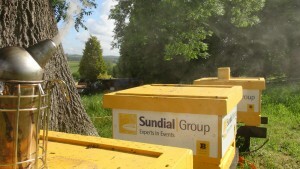 The prestigious Sundial Group is buzzing with excitement at the moment as it earns its sustainability stripes with the installation of nine bespoke beehives. 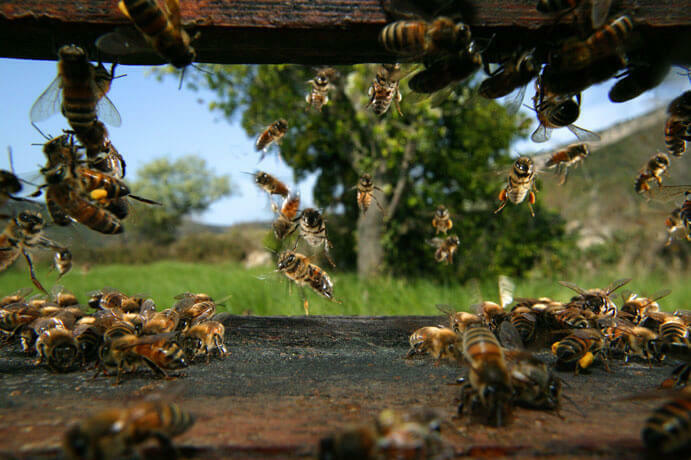 The group has been working with leading sustainability business Plan Bee Ltd to install the hives at its three locations; Highgate House in Northamptonshire, Woodside in Warwickshire and Barnett Hill in Surrey. Each venue is independently recognised for delivering excellent hotel and conference facilities and outstanding customer service. Plan Bee has helped businesses from a variety of sectors to make their organisations as environmentally friendly as possible. The hives allow businesses to display a clear commitment to sustainability and their local community, and provide a unique brand of “Return on Involvement” with increased customers and customer loyalty as a result of the positive exposure. Sundial Group is in good company alongside Plan Bee’s other clients which include Highland Spring, Glengoyne Distillery, Balfour Beatty and BAM Nuttall. As well as supporting dwindling honeybee populations, the hives each produce 24 jars of high quality honey, marketed with the group’s own branding for sale or to be given to valued customers. Each hive is also individually branded to the company’s own design. “The hospitality sector is an extremely competitive one, with customers seeking excellence in both service and products. Customers now expect providers to be both ethical and sustainable. Supporting the declining bee population is our way of putting something into the environment, and making use of our extensive grounds. An added bonus for our customers is that they will benefit from enjoying the highest quality honey, all produced at Sundial. Beehive Brae, the Lanarkshire mead and honey beer producer has smashed its crowdfunding target. 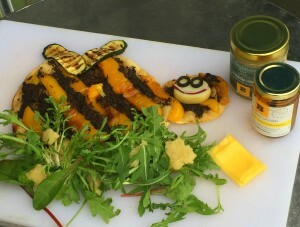 It’s the second such alternative funding success for the Plan Bee Ltd stable having secured 175% overfunding with its Crowdcube project in June last year. The vital funding can now be put towards the development of fermenting tanks, bottling equipment and other related facilities. Mead has made a resurgence in recent years, not only among those seeking an alternative to beer and wine, but also among twenty and thirty something hipsters looking beyond the craft beer phenomenon. The real surge has come from fans of fantasy dramas such as Game of Thrones with the American Mead Makers Association directly attributing a massive rise (42%) in production to the spectacular series. There’s less than 24 hours to go as Beehive Brae counts down to the close of its spring CrowdfunderUK project. The unique Scottish meadery is looking to meet a target of £2,500 to help fund the expansion of the brewing facilities due to the growing mead demand. For those pledging money to the cause, there’s a number of gifts available from bottles of first edition mead to candles, honey and even adopting bees. The project will close at 11.30am tomorrow (Tues 16th June, 2015). “The world’s largest association of mead makers, the AMMA reported a 42% increase of mead sales in the United States last year and already in the UK sales are up 15%. The AMMA put that down to the Game of Thrones effect but meads resurgence is down to much more than the fantasy drama. Fine food buffs and sustainable shoppers are being drawn to mead because of its quality and the positive impact it has on the environment. We’re hoping that our mead production will also lead to an increase in beehives numbers to help support dwindling honeybee populations. 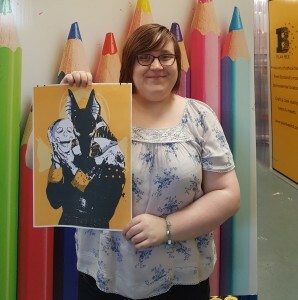 Game of Thrones, Beehive Brae Crowdfunder! Here at Plan Bee we’re preparing for tonight’s (15th June) big season finale of Game of Thrones, a show we love not only for the fantasy drama, and lets face it the dragons; but also because of the impact its has had on mead sales around the world. 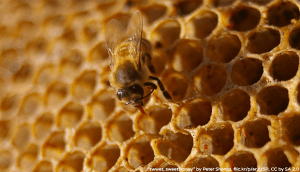 That can only be of benefit to dwindling bee colonies, needed to provide that essential ingredient – honey. 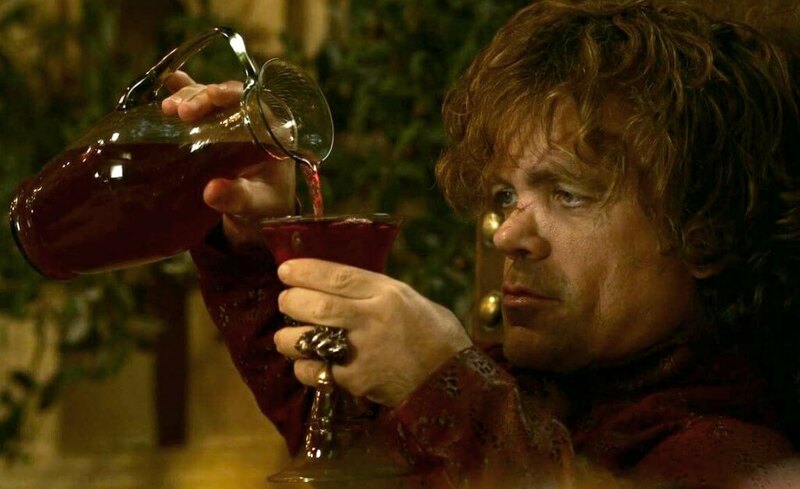 Tyrion Lannister, purveyor of fine mead! In the US, from the 52 meaderies questioned, the American Mead Makers Association reported an increase in sales of 42% last year. That can only be good news, not only for the mostly small and craft business meaderies, but also for beekeepers across the country. At the moment we’re just a little bit behind in the UK, with our contemporaries already reporting an increase in sales of 15%. Supermarket chain Morrisons even reported a 30% increase in sales. Things are getting busy as our mead and honey beer brand, Beehive Brae looks to complete its crowdfunding project within the next 24 hours. Mead is certainly making a come back if that can indeed be said about the world’s oldest fermented beverage. It is a drink much associated with the medieval age, but this in fact was the period when its popularity dwindled, as honey prices soared out with the reach of mere mortals. Mead has long lagged behind spirits, beer and wine in the popularity stakes, but is it surprising that here in the UK it is making a comeback? In Scotland particularly we don’t have the climate to grow the quality and quantity of grapes necessary to have a profitable wine industry, but change that core product to honey and we have an abundance of some of the highest quality ingredient in the world. That’s where Beehive Brae comes in, adding elderflower, rose petals or rose hips and maybe a little fizz for a unique high quality product. One thing that’s known from Westeros to Essos is that this isn’t just a passing fad created by those bearded twenty and thirty-something hipsters. Fine food connoisseurs are bringing mead to the dinner party set, sharing it with like-minded friends and building a new following that spans the generations. The drive towards authenticity in our food and drink selection is also supporting mead sales – consumers want to know that their food is local, and more traditional methods have been used in its production. Above all else consumers want to know that their produce is sustainable, and our mead is certainly that, supporting local bee colonies. 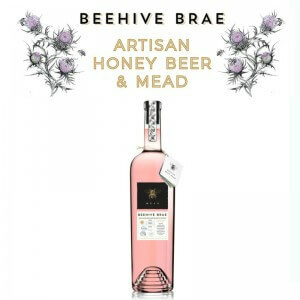 We’ll certainly be raising a glass of delicious Beehive Brae mead to toast the end of another season of Game of Thrones, and long may it continue!